Well...this is a story about how plants sometimes surprise you. 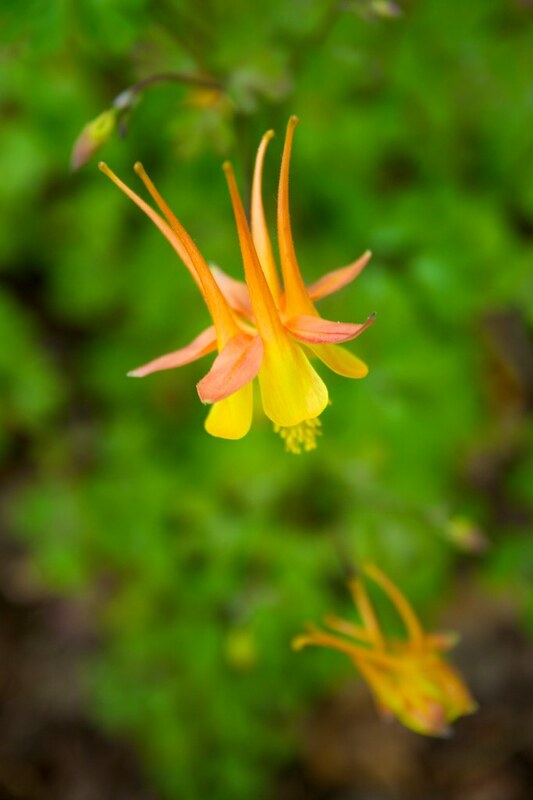 I've always loved columbines...pretty much every form (except for the weird pom-pom ones that just look like weird blobs). I'm partial to the old-fashioned forms, willowy, tall, with the long, back-swept spurs in alternating colors, usually white and some other color. They seem so much a typical cottage-style sort of plant. So, of course, I've always wanted to have some in my garden. 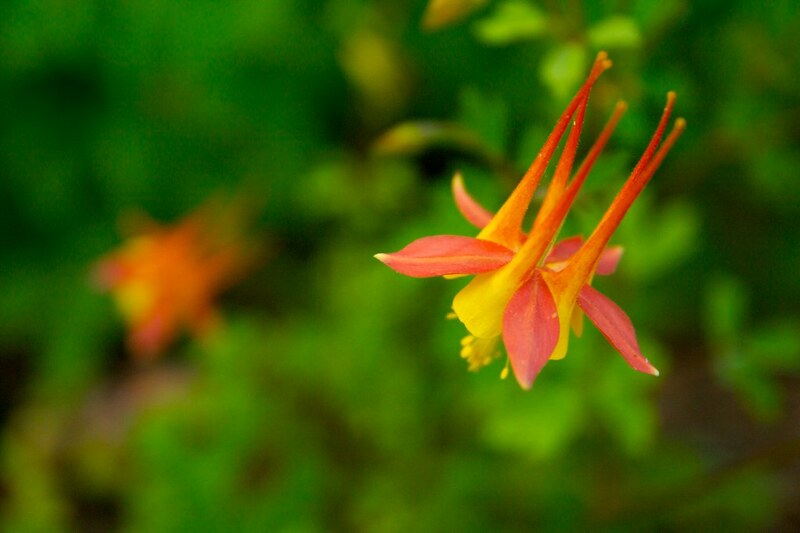 This spring, I had decided to be impetuous and buy whatever columbine was the first to cross my path. It just so happened that "Tequila Sunrise" was that columbine. They photo and description seemed to indicate that this particular hybrid (this being the important part...HYBRID) had "coral red flowers with golden yellow corollas on vigorous plants." 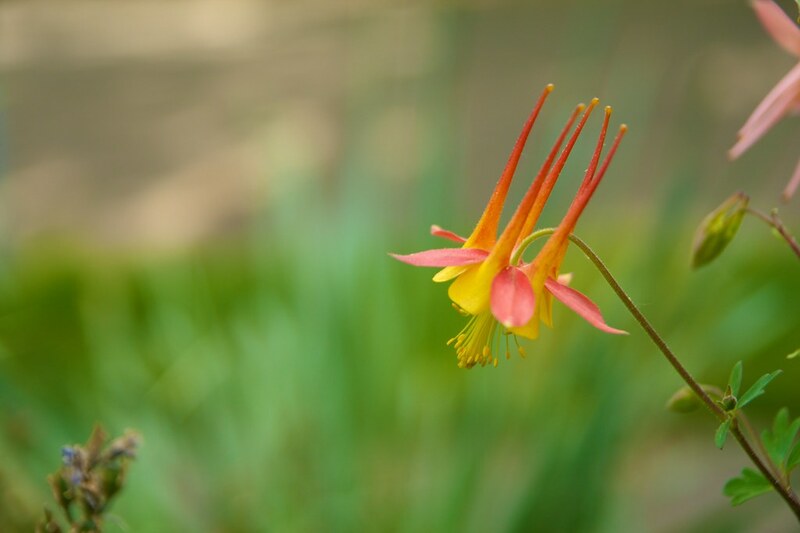 I'm not overly fond of red or yellow, to be honest, but they seemed a nice sort of spin on our native columbines, which are the same colors, but this seemed to be, perhaps, hardier and more floriferous...so, basically, a win-win. I should have know...columbines are VERY promiscous and seem to have a habit of reverting to their more natural states. Now that all 3 of the plants I bought are blooming...it has become obvious that they are all 3 completely different! I have no doubt they are all "Tequila Sunrise" but there is so much variation in the flowers they look like totally different varieties! Here is the first...which I think is closest to what the flowers are intended to look like...not exactly the darkest red...but a decent show. Here is the 2nd version...not terribly different...but the colors are definitely not as saturated and more on the peachy side of coral...the yellow is sort of buttery. Here is my favorite...it's pretty much solid yellow! Luckily, it's a lovely sort of lemonly yellow and the flowers seem a bit more dramatic, with longer, more willowy spurs...I actually like this one the most! 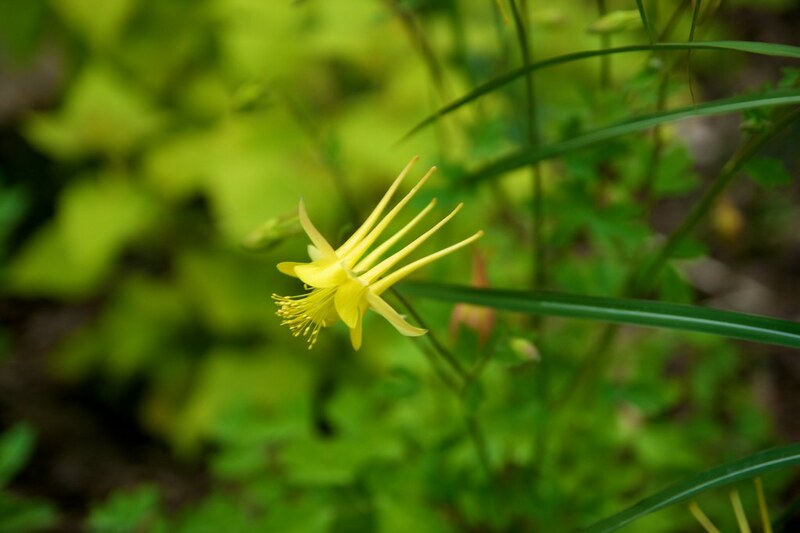 Now, to be completely fair...I actually was pretty happy that these 3 columbines were slightly different...they give a sort of natural sponteneity to the planting (they are all planted fairly close together) that actually works pretty nicely. I always buy plants fully expecting them to be somewhat different from what the tags (and even the internet) says, and sometimes I'm still dissapointed, sometimes, like this, it's a happy surprise!